Contractor | Rizzo Construction Inc. 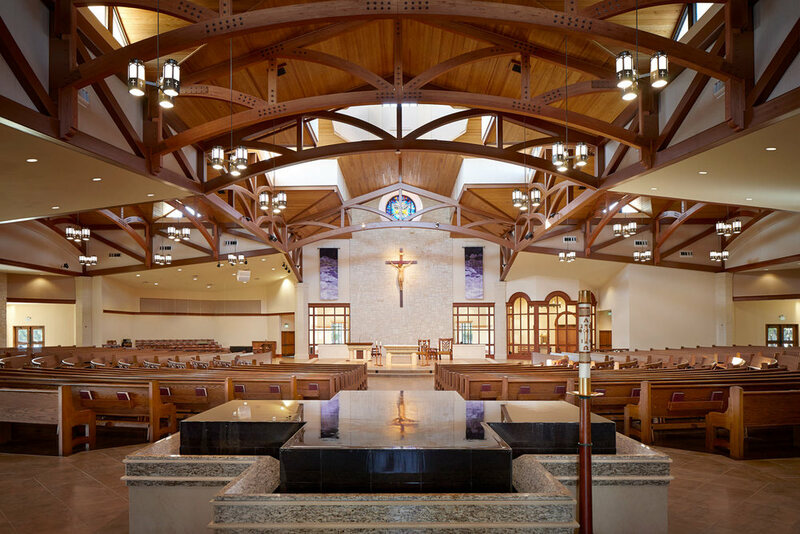 In order to accommodate a growing congregation in a developing suburb of Austin, we were selected by this church to design a new 1,200 seat worship hall adjacent to their existing chapel and multipurpose building. The result had to provide the church with more of a presence at the street, but still fit into the area's residential context. 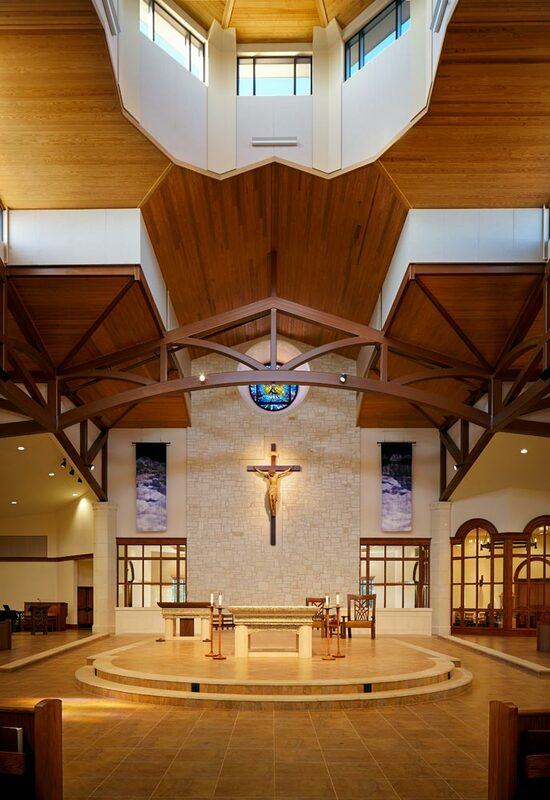 Upon entering the church through 10 foot tall custom bronze doors, parishioners are be able to experience a variety of materials such as wood, stone, steel, fabric and glass, all working together in harmony and highlighted by various clearstory windows to further enhance the spiritual experience for parishioners.